Juletree, originally uploaded by [Zakkaliciousness]. Jul is approaching quickly. 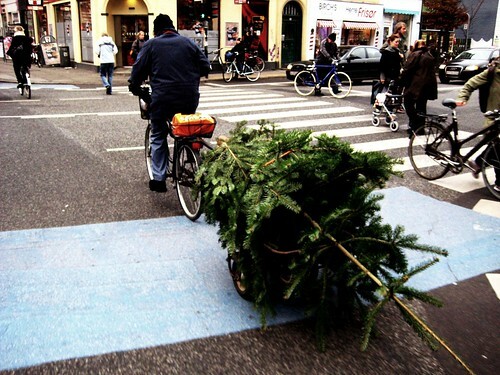 The bike lanes are busy with people transporting all manner of seasonal items. Trees, presents, what have you. Just another day in the life of a cycling Copenhagen.